This week it’s an interesting Bug, quite frightening if you look closely, by chance it’s a very small bug ! It’s full name is : Jagged Ambush Bug. The plants were covered with dew as well as the bug as you can see on it’s back. Taken with Canon 7D and Tamron 90mm Macro VC. This entry was posted on August 3, 2014 by Steeve Marcoux. 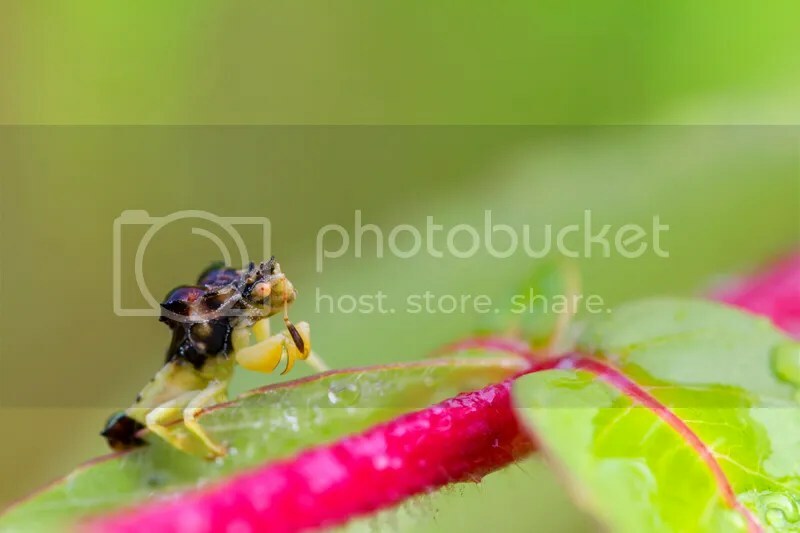 It was filed under Weekly photo and was tagged with ambush bug, bug, canon, dew, Jagged Ambush Bug, tamron. Wow that really is one freaky looking bug! Nice shot. glad to see that you liked that little “Monster” ! wow that is one interesting bug.